The Norwegian University of Science and Technology (NTNU) is an internationally focused centre of learning, with over 40,000 students, offering a variety of programmes of professional study, with a special interest in science and technology. In 2018, the university faced a serious challenge in the way it conducted its exams. With modern exams requiring access to digital technology, the current system of setting up temporary exam halls in sports halls and other locations had become unmanageable. Daily wiring and unwiring of power points and network access to allow evening schedules to continue to operate would have been impossible. 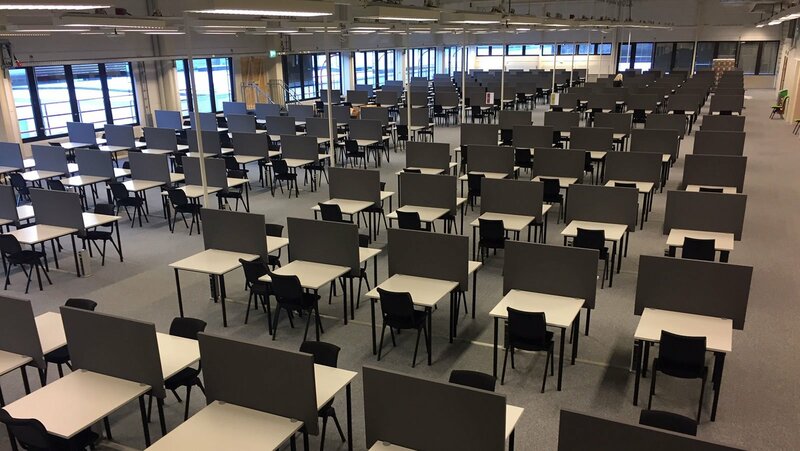 The solution was to create a permanent exam hall, designed to cater for the latest exam methods that use technology, as well as completely functional for traditional written exams. 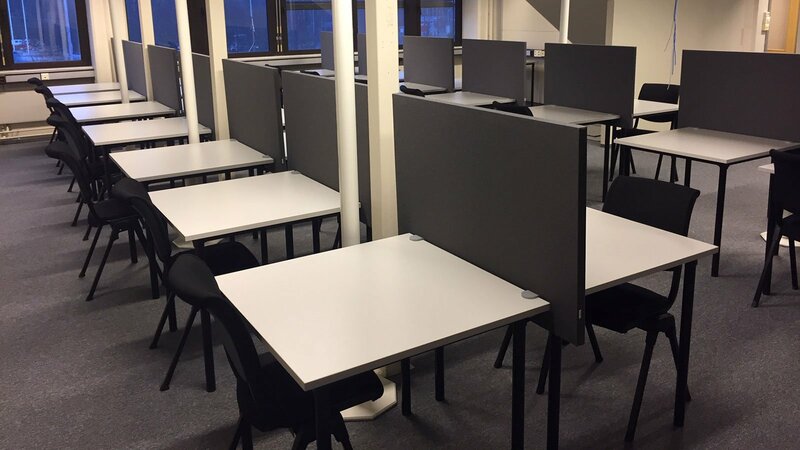 After finding and leasing a suitable location, NTNU worked with office furniture specialists Lindbak AS to source and install the required furniture. 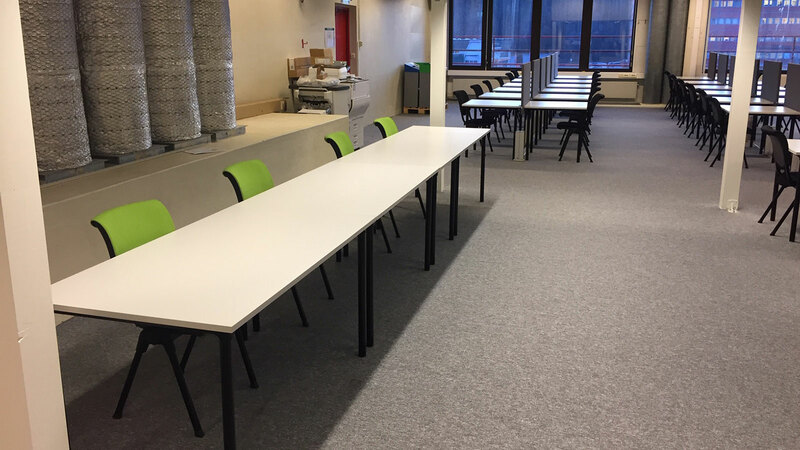 After consultation with the client, products from Flokk brands HÅG, RBM and Offecct were selected for both the exam hall and the adjoining reception area. 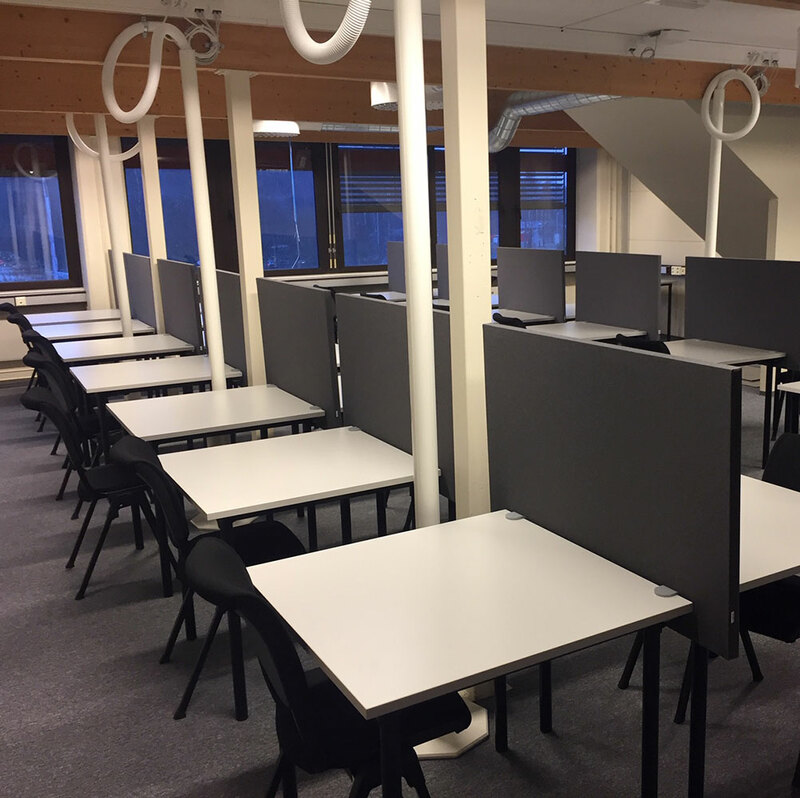 For the exam workstations, HÅG Conventio chairs were specified. 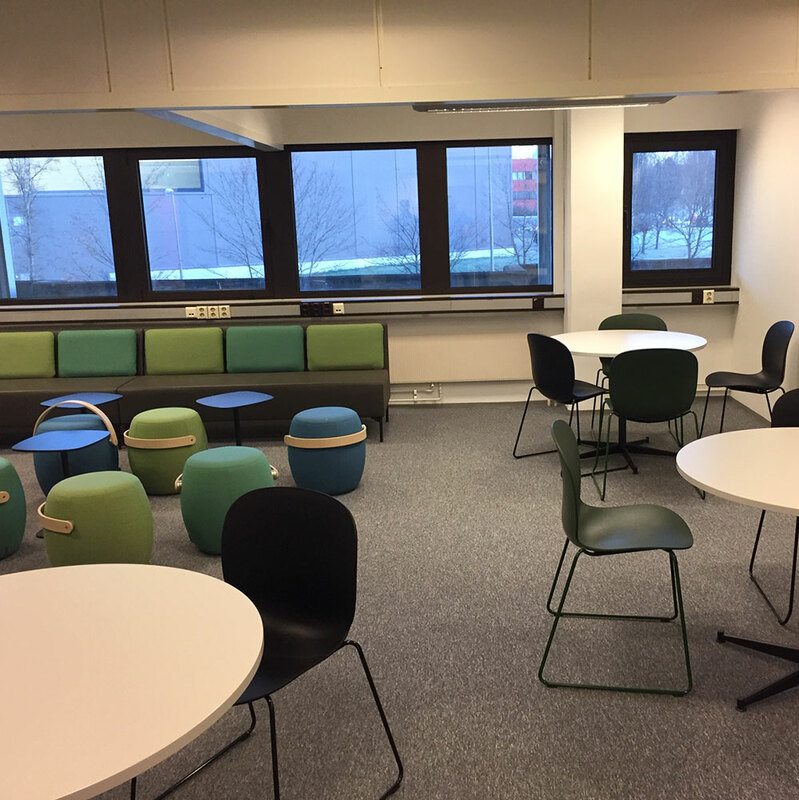 The university currently uses the HÅG Conventio chair in several locations on campus, specified due to its great stability and comfort. The standout feature is its rocking mechanism, which is unique compared to similar chairs. It lets you move more freely whilst being seated, and helps to release energy, keeping your mind clearly focused without reduced stability. The chair was paired with RBM Eminent tables. Smart, sturdy, functional and easily moved, the RBM Eminent is a workhorse that can withstand all kinds of daily duties, and was a natural choice for this location. In total, over 1550 tables and chairs were delivered, highlighting how substantial this environment truly is. The reception area was fitted out with the RBM Noor paired with circular RBM Eminent tables, as well as soft seating from Offecct, specifically the Carry On Stool. 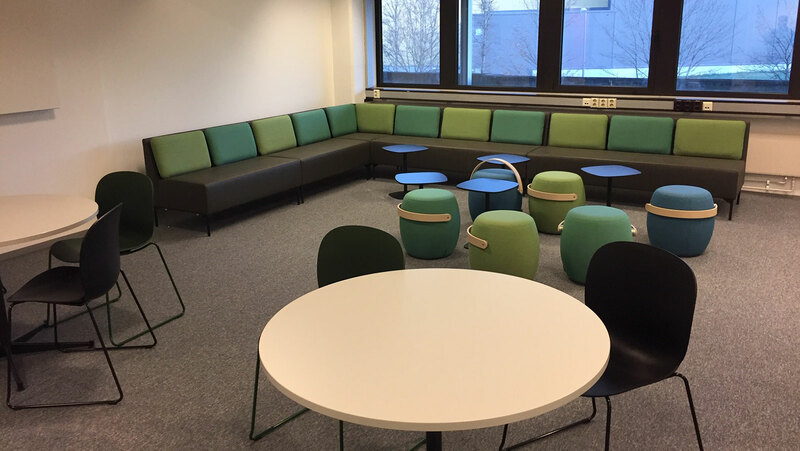 All products were specified in colours chosen by the university, with neutral black and greys in the exam hall to reflect the seriousness of the location, with several shades of blue and green chosen for the soft seating in the reception area, matching the colour scheme chosen. 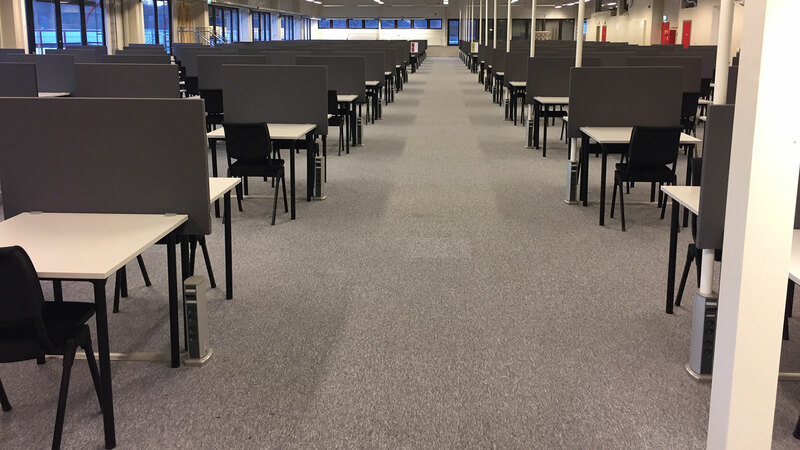 The university is very pleased with the results, and the fit out was completed in time for the exams held at the end of the first semester, which went smoothly. In addition, it will be positive for the university to have access to examination rooms throughout the year, to provide opportunities for conducting written exams outside the examination period. "The project involved the sourcing and installation of functional, comfortable and robust furniture for regular use. The products specified have lived up the standards set by the university, and have been well received by the students."